Heart health is serious business. Serious as a heart attack, as the saying goes, given that currently 1 out of every 3 people in America die from cardiovascular disease (CVD) – our #1 killer. According to the American College of Cardiology, CVD currently accounts for approximately 800,000 deaths in US. Among Americans, an average of one person dies from CVD every 40 seconds. Right now more than 90 million Americans carry a diagnosis of CVD. And over 45% of non-Hispanic blacks in the United States live with heart disease. But this isn’t just an American problem. On a global level, CVD is the single largest cause of death in developed countries and accounts for 31% of all mortalities. If you take a moment to ponder these staggering statistics, you quickly realize just how vast the epidemic of heart disease has become. And yet there is hope. Because this disease that’s debilitating and killing millions annually is entirely avoidable. It’s completely preventable. And it’s even reversible. The solution begins with personal responsibility. It’s about what you put in your mouth. It encapsulates your lifestyle choices. And it extends to erecting systemic changes in our health care model to prioritize prevention over symptomatic treatment. 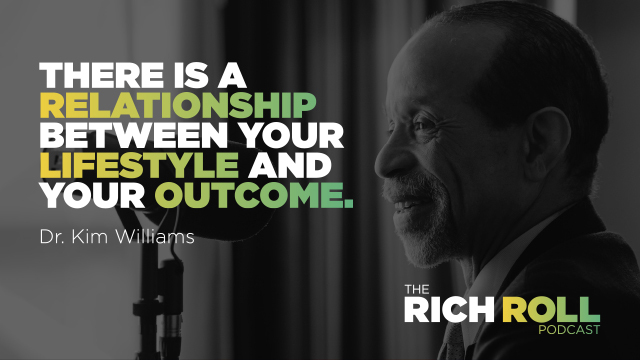 To walk us through these important issues I sat down with former American College of Cardiology president Kim Williams, M.D. — one of the most inspiring, intelligent and pioneering leaders in the growing movement to modernize how we think about, treat, avoid, and prevent our most onerous threat to human health. A graduate of the University of Chicago and the Pritzker School of Medicine, Dr. Williams currently serves as Chief of the Division of Cardiology at Rush University Medical Center, and is board certified in Internal Medicine, Cardiovascular Diseases, Nuclear Medicine, Nuclear Cardiology and Cardiovascular Computed Tomography. In addition to his tenure as President of the American College of Cardiology (2015-16), Dr. Williams has also served as the President of the American Society of Nuclear Cardiology and Chairman of the Board of the Association of Black Cardiologists. Tangential fun fact? Dr. Williams was also a teen chess champion before becoming Illinois’ No. 3 singles tennis player at 15 years old with no previous background in the sport. Faced with a choice between pursuing professional tennis or medicine, he chose medicine. Back in 2003, Dr. Williams became concerned that his LDL cholesterol — the kind associated with an increased risk of heart disease — was too high. After some research into the positive benefits of adopting a plant-based diet, he decided to give it a shot. It worked, bringing his LDL down to normal levels. He then began prescribing his nutritional protocol to his patients. That worked too. Then an interesting thing happened. Dr. Williams became president of the American College of Cardiology, a 49,000-member medical society that is the professional home base for the entire cardiology profession. This gave him a broad platform of authority to advance awareness and the legitimacy of a plant-based diet as both a treatment and preventive protocol for heart disease. This is a powerful and potentially life saving conversation. I hope you enjoy it. But more than that, I hope it impacts you to make better daily decisions concerning your health and well-being. For those visually inclined, the video version of the podcast is also available on YouTube. Casper: The #1 online retailer of premium mattresses for a fraction of the price. Get $50 toward any mattress purchase today by visiting casper.com/ROLL and using promo code “ROLL“ at checkout. Harrys.com: A superior shave at an affordable price. Friends of the Rich Roll Podcast can visit Harrys.com/ROLL to redeem your Free Trial Set, which comes with a razor, five-blade cartridge, shaving gel, and post shave gel. All you pay is shipping. Vegetarian News and Views: Cardiologist: Put us out of business, by going vegan! RRP #128: Cardiologist Joel Kahn, MD: Is Butter Really Back? Thanks to Jason Camiolo for production, audio engineering interstitial music and show notes; Shawn Patterson for graphics; and David Zammit for photography & videography. Theme music by Ana Leimma. *Disclosure: Books and products denoted with an asterisk are hyperlinked to an affiliate program. We are a participant in the Amazon Services LLC Associates Program, an affiliate advertising program designed to provide a means for us to earn fees by linking to Amazon.com and affiliated sites. 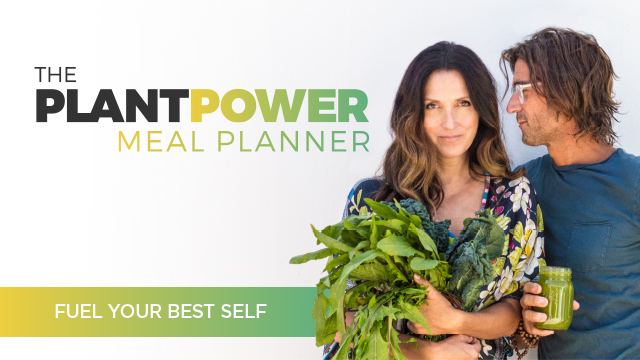 Check Out Our New Meal Planner! Donate: Check out our Patreon account!